How to use Old-School Bodybuilding Diets to beat your genetic limitations. Guest blog post by Alex Eriksson. If you’ve been hard at work at the gym, without any clear results for some time, it might be time to examine how your personal body type get affected by your diet and training. Understanding your body type helps you tailor and build a successful plan towards muscle building and achieving noticeable results. 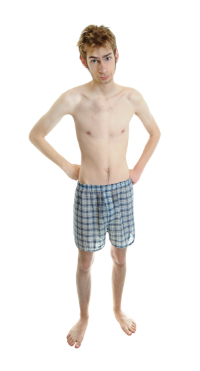 An ectomorph is a typical skinny guy, with lean muscle and a light build. What is common for ectomorphs is that they find it very hard to gain weight, which is influenced by their fast metabolism. This means they require a larger number of calories to gain, as well as short and intense workouts that focus primarily on big muscle groups. This is because they are easier prone to catabolism and should avoid chronic cardio and endurance based workouts that burn lots of calories if they want to gain weight. For ectomorphs it’s also recommended to eat before bed in order to avoid catabolism. Finally, since ectomorphs can lose not only muscle but also fat at a faster pace, one of the good properties of this body type is easier cutting back to lean muscle mass. Different from ectomorphs, mesomorphs are usually of athletic build, with larger bone structure and larger muscles. This kind of structure allows for faster gains when it comes to building muscle, quickly showing response to weight training. Mesomorphs are the most balanced of the three body types and can generally take a lot of variation on their macros in their diet. However, mesomorphs should watch their calorie intake and aim at building an optimal diet plan that will help them build muscle without also gaining to much fat. It is strongly believed that this body type benefits the most from a combination of cardio and weight training. 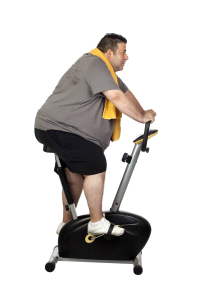 An endomorph usually has a soft and round body, influenced by slow metabolism. Since they are prone to gaining weight, endomorphs should take care of their calorie intake. 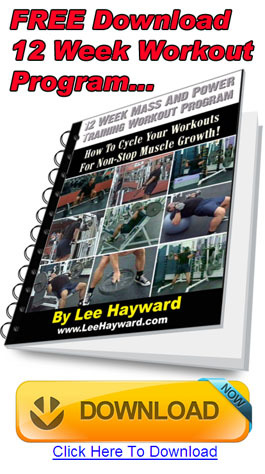 To keep fat gain at minimum while building muscle mass, it is recommended to focus on cardio first, and then to introduce weight training as well. Endomorphs are particularly good candidates for Ketogenic diets and Low Carb High Fat Diets (LCHF) that focus on fats for fuel instead of carbohydrates. Fueling your body with primarily fats makes sure that it never shuts off its fat burning powers. However keep in mind that in order to lose weight, you need to consume less calories then what you spend, going high-fat/low- carb or low GI (glycemic index) just makes it easier to keep insulin low and in turn keep body fat low, especially if you are sedentary much of the time. Even though there are these three main body types, often it can be hard to find yourself within only one of these categories. 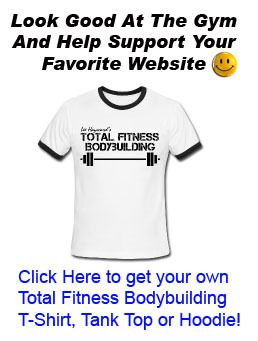 This is because many of us have a combination of two body types, which you can often see the results of on the effects your diet and workouts has on you. However, as numerous professional trainers will tell you, even the skinniest of guys can build muscle mass and definition. Despite having numerous workout plans and nutrition regimens available these days, many people still struggle to get the results they want from their efforts. No matter what body type you have, sometimes it’s more important to take a step back and once again consider techniques that have a proven track record. 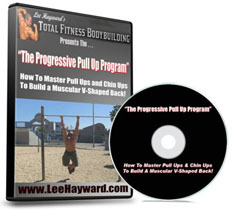 We are talking about techniques that has been used all the way back since the golden age of bodybuilding. No matter what your body type was or how your genetics were, old school bodybuilders knew exactly how to craft their bodies into masterpiece physiques using only good nutrition and hard work. Most of the advanced steroids and performance enhancing drugs that bodybuilders use today had not even been invented yet, which makes their training and nutrition patterns very interesting to study since they used more natural techniques. 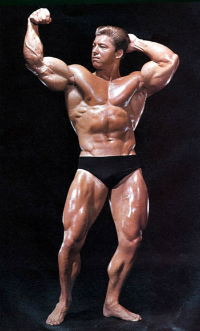 If there is one name that keeps appearing everywhere when it comes to the golden age of natural bodybuilding. It’s Vince Gironda (also known as the Iron Guru), he was the first trainer to Hollywood’s elite, having trained celebrities like Clint Eastwood and Cher. Furthermore, he is perhaps best known for being the first trainer of Arnold Schwarzenegger, who was Gironda’s best reference for his workout and nutrition plans. Vince had his own ideas when it came to getting ripped and losing body fat, many that have been validated today by current research. He was also known for his unusual and groundbreaking ideas on how to train when it came to squats, flat bench, and sit ups. Even though these ideas came to be in the 50’s and 60’s, we still use many of them today. It really proves their value and the vast amount of knowledge that Vince Gironda possessed on the subject of natural bodybuilding. Vince strongly believed that training is a privilege, not a chore. This is why people would often say that he was not an easy guy to get along with. Vince was known to kick members out of his gym if they didn’t work hard enough, which is far from the mentality of personal trainers today. However, hard work in the gym is not enough since bodybuilding also has a lot to do with nutrition. Every athlete that trained with Vince know this, since he often said that bodybuilding is 80% nutrition. If you are cursed with being an Ectomorph or Endomorph, or simply don’t have good genetics for building muscle, nutrition will be the most important element in your formula for success. When it comes to nutrition, Vince is very respected for his hormone precursor diet. This is actually a quite simple nutrition plan with the goal to keep your system in a positive nitrogen balance. This diet is based on ingesting 30-50 grams of protein every 3 hours to keep your blood sugar level balanced and fuel your muscles for growth. Our primary weapon of choice being, raw eggs, which is another thing Vince was very known for. Raw fertile eggs are the best source of protein, fat and many other nutrients, as well as one of the least expensive. Just like we know them today, eggs are a very valuable food source for growth and strength. One part of the diet is aimed at bulking up on the large amounts of cholesterol and concentrated nutrients in raw eggs to keep your hormone production high. 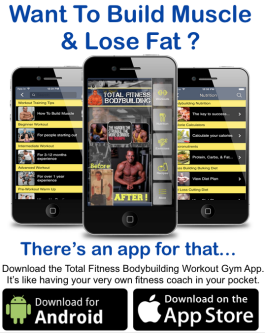 This keeps you in an anabolic state which helps you achieve your fitness goals faster, making it one of the best nutrition programs for the hard gainer (Ectomorph). The staple of this diet is Vince’s Hormone Precursor Shake. This is a high protein and fat drink made of 12oz half and half, 12 raw eggs, 1/3 cup milk-and-egg protein powder, and 1 banana. Vince used this shake 1-3 times per day between meals to help his athletes gain muscle and get the extra calories they need. Eating 2-3 dozens of eggs per day would be a challenge, but drinking them raw in the form of a shake is not. This type of drink can also be used as a lean bulk method for the Endomorph if you omit the banana, which makes it more low carb and keto friendly. By using this shake in-between meals anybody can do a clean bulk without having to prepare massive amounts of food. As you can see this is overall a very clean and healthy way of eating and looking at the physiques of Vince and his students such as Arnold, he knew what he was talking about. The hormone precursor diet is also known for including natural hormone precursors as well as an assortment of supplements to easier help you reach your gym goals. Some of the natural hormone precursors include wheat germ oils, kelp (containing iodine which can boost testosterone for many), yeast, desiccated liver, raw orchic-tissue tablets, fish oil, vitamin B complex and vitamin C, as well as plenty raw fertile eggs. The notable supplements in the routine are using 10 desiccated-liver tablets every 3 hours to make sure you remain in a positive nitrogen balance. Using amino acid tablets Arginine, Ornithine and Tryptophan to improve sleep and maximize growth hormone during sleep. As well as supplementing with hydrochloric acid (HCL) before meals and digestive enzymes after meals to maximize your body’s utilization of protein and other nutrients. Interestingly enough, Vince was known for promoting liver tablets as one of the most potent natural supplements for bodybuilding. 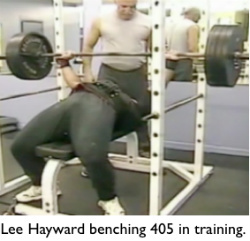 In his days, many bodybuilders were known to take 50-100 liver tablets per day in-between meals in order to remain in a state of positive nitrogen balance for optimal growth. The thing that makes liver tablets even more amazing is that according to Vince, there’s plenty of other beneficial components in liver such as cytochrome P-450, which has a highly anabolic effect in the body and also helps in detoxification. This makes liver a highly anabolic food and perfect for bodybuilders. Liver is actually one of the most nutrient dense foods on the planet and is ahead of most fruits on the planets in terms of amounts of nutrients, in close to everything but Vitamin C content. What is interesting to add is that the benefits of desiccated liver were well known even before Vince was promoting it in his diet plans. According to a study conducted in 1951 and published in the medical publication called “Proceedings of the Society of Experimental Biology and Medicine”, desiccated liver has the potential to be of great help when it comes to avoiding fatigue. The experiment used 3 groups of rats, who were on different kinds of diets for 12 weeks. They performed stress tests on the rats which involved seeing who could swim the longest in a tank filled with water. The group that ate desiccated liver had higher energy levels and took almost 10 times longer to reach fatigue then the other rats. Interesting fact is also that when predators such as sharks and lions kill their prey, they often go for the liver first. Regardless if liver is as potent for humans as in that rat study, liver is full of nutrients that are great for building muscle. Another similar popular diet promoted by Vince Gironda was the so-called Steak and Eggs Diet. Vince employed this nutrition plan periodically into his own nutrition regimen throughout his entire life. He especially used it the weeks leading up to competitions when maximum definition was needed. Some people might have questioned the safety of eating this way back then, but already in the 50’s and 60’s Vince was aware of the research on the diets of Innuits and Eskimos. Research that proved that a diet high in animal fats and protein was both safe as well as sustainable. The Steak and Eggs diet promotes eating only twice a day and is incredibly simple. Meals are consisted of 3/4lb to 1½ pounds of steak and 4 to 6 eggs. Every fifth day is a “cheat day” for refueling carbs for maximum training performance. This shows that Vince promoted something similar to what we today know as a cyclic Ketogenic diet, completely unknown at that time. This simple and extremely effective diet was often used for body re-composition and is particularly effective for Endomorphs to lean down. Now days the Paleo diet has made a lot of hype and is not so far away from the diets Vince used for his athletes. For example, the Paleo diet includes different kinds of meats and eggs, but also vegetables and snacks such as nuts and berries. Some of the biggest similarities can also be found in the way meals are prepared, since the Paleo diet promotes simple cooking methods and eating raw foods. Vince’s diet also consisted of very simple ingredients, without any complicated cooking methods and eggs are often preferred to be eaten raw. Intermittent Fasting (IF) is also something that has grown to become very popular now days, and some of its effects can also be reaped on the Steak and Eggs diet. Steak and Eggs diet is a eating pattern that has the potential to put you into a Ketogenic state, which imitates many of the effects that fasting has on the body. Aside from being a powerful diet to help you lose weight while maintaining lean muscle mass, there are numerous studies that has proven why intermittent fasting in combination can increase the effectiveness even more. For example, studies like this one as well as this one showed that levels of growth hormone can increase during IF up to five times. Intermittent Fasting can also help you control insulin levels, which is key to help you lose weight. Lower insulin levels make stored body fat more accessible and this is why Ketogenic diets are so effective for weight loss. The Steak and Eggs diet is a high protein diet and if you are a hard training resistance athlete, it is possible to remain partly in periods of Ketosis during a diet like this. Research has also shown that high protein diets can produce better fat loss, as this study shows. In addition, this kind of diet has the potent effect of increasing energy expenditure. This is why meat and eggs should be a staple in your diet if you’re trying to lose weight. You shouldn’t worry about a high protein intake, research has shown that as long as you maintain training, over consumption of protein will not be harmful. It is also important to add that high protein diets can be great for short periods when it comes to re-composition of the body, but it’s important to maintain resistance training to utilize maximum benefits. Besides being a high protein diet, this is more importantly also a high fat diet. What this means is that you will be primarily fueling your body with fats. Eggs contain Omega-3 fatty acids, while the fats in steak are healthy saturated fats that are good for you in the absence of too much carbs. One reason why high fat and protein diets are so effective for weight loss is believed to be because of the healthy CLA (conjugated linoleic acid) fatty acids foods such as meat and eggs contain. CLA is very effective for reducing fat mass in humans and can also be used as a supplement for maximum results. Finally, there is one other reason why the simple Steak and Eggs Diet is so successful. As proven numerous times before, testosterone is correlated to substantial gains in muscle and strength, but also helps people lose substantial amounts of body fat. This is why the effectiveness of the Steak and Eggs Diet is two-fold. On one hand, this kind of a diet plan influences the production of testosterone due to its high fat content and actually helps you lose weight. While losing weight, your body will in turn also produce more testosterone on its own. So for obese people with low testosterone issues, going on this type of diet for some time is very likely to improve your levels and overall health. Another common problem in obese people is high levels of aromatase since it acclimates in fat tissue. Aromatase influences how much of your testosterone turns into estrogen. High estrogen levels is no good if you want to lose fat and improve your testosterone levels, so if it’s a serious problem some people might benefit from using a natural estrogen blocker during periods of losing weight for faster results. In many ways, Vince Gironda was well ahead of his time. His workout and nutrition plans were based on his personal experiences and have helped numerous people reach their fitness and bodybuilding goals. Today, we have scientific proof that validates much of his thoughts and ideas on training and nutrition. So no matter which body type you have, there are tried rules that you can follow in order to maximize your gym results. As you have learned, much of what we today know to be true from scientific research, Vince Gironda preached already 50 years ago. Perhaps one of the biggest misconceptions when it comes to bodybuilding is that carbs are essential, as well as that protein can be bad for you if consumed more than recommended. However, there are numerous clinical studies that are proving this theory to be false. For example, this study investigated the effects of a very high protein diet (4.4g per kg per day) on body composition in resistance-trained men and women. The conclusion is that consuming this amount of protein has no negative effect on body composition for those who maintain their current training regimen. However massive protein intakes might not be needed and can be a big waste of money, especially on expensive meats such as steak. You can still grow well on inexpensive proteins such as hamburgers. Another study examined how a high protein diet affects your health and found that this kind of diet has no negative effects on blood lipids, or markers of renal and hepatic function. On the other hand, protein can be of great importance if you’re trying to build muscle or lose body fat, where as carbohydrates can be a big obstacle for some towards these goals. This once again leads us to what Vince Gironda claimed decades ago, as well as to his Steak and Eggs diet that goes against much of what people today think of as a healthy diet, yet proves to be incredibly effective. To further prove this point, you should consider the traditional diets of many indigenous populations such as for example the Sami people of Scandinavia, who has consumed a high-protein, high-fat and low-carb diet for centuries without problems. Clearly, there is an element of genetics when it comes to diet and this can be seen in our different body types as well as where we are from. Dietery studies on populations in Canada made this clear in the documentary My Big Fat Diet, where people with first nation roots overcame their obesity turning to a high fat diet. Carbs are not all bad, but they should be used for performance and are best utilized by already well trained athletes. Knowing your body type can help you identify how much calories you need to add to make gains, as well as from what sources those calories should come from. Don’t be afraid to experiment with high-protein / high-fat / low-carb diets, history has shown them to be both effective as well as safe.